1: Wrap yarn around the legs about 25 times, depending on how thick the yarn is. Next thread the hanger tie (12″ piece of yarn, shown here in orange) between the 2 layers of the wrapped yarn. 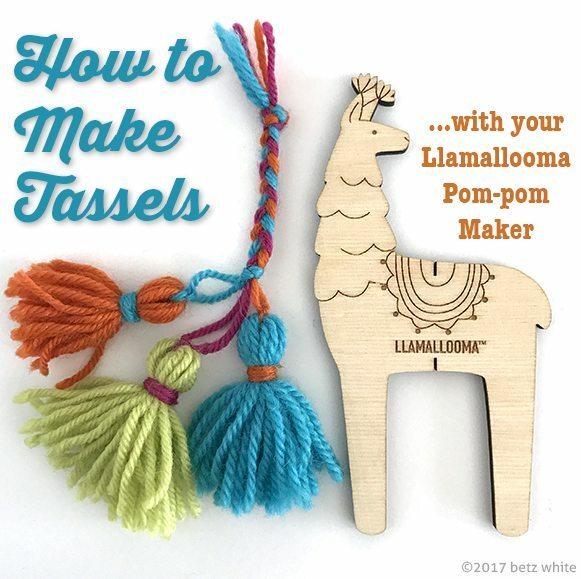 You can use a tapestry needle or just your fingers. 2: Shimmy the hanger tie around to the outside edge of the leg and tie it tightly around the wrapped yarn. Next thread the collar tie (12″ piece of yarn, shown here in green) under both layers of wrapped yarn. 3: Tie the collar tie in a knot around the wrapped yarn. 4: Slide the bundle off of the legs. Wrap the collar tie around the neck of the tassel several times then tie with a double knot. 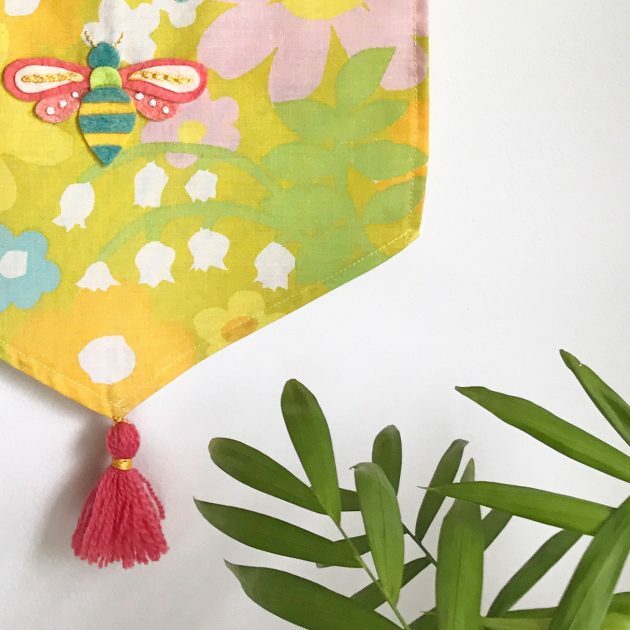 You can thread each tail onto a tapestry needle and hide the ends inside the tassel and trim off. 5: Cut the big loops with scissors. Trim ends to even up if necessary. 6: Done! 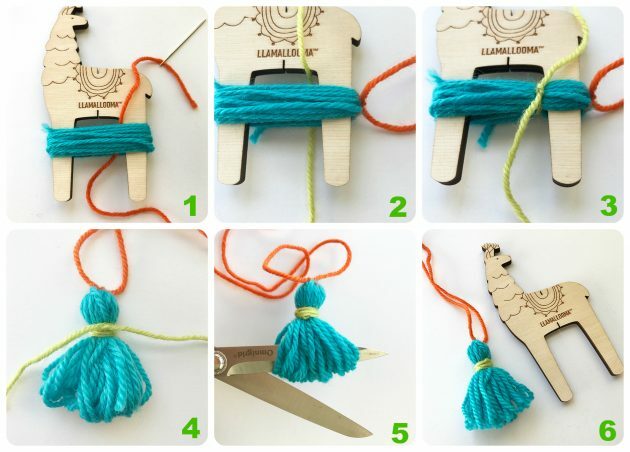 Use the hanger ties to attach your tassel to a project. I made three tassels then braided their hanger ties. 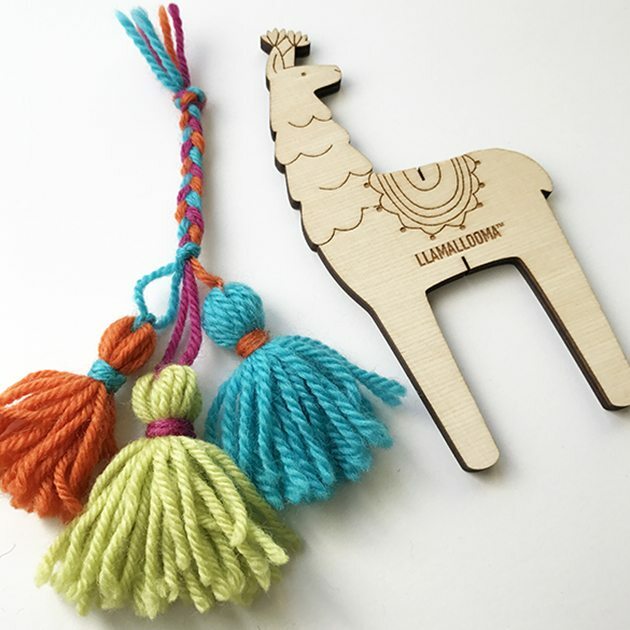 This would make such a cute accent on a bag handle or zipper pull.